The Seal Beach Tennis Center is about more than just great tennis! Our goal is provide our guests with many other ways to get and stay fit. 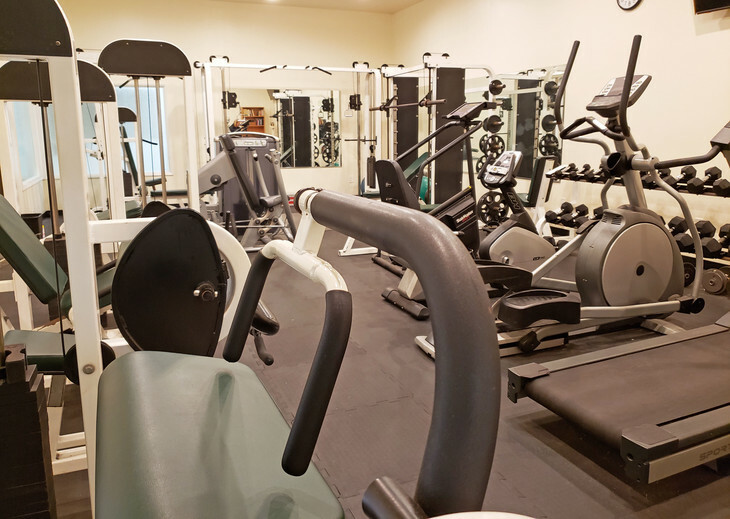 Our on-site Fitness Center is almost 1,000 square feet and includes 14 different exercise machines, exercise benches and a variety of dumbells for your use. 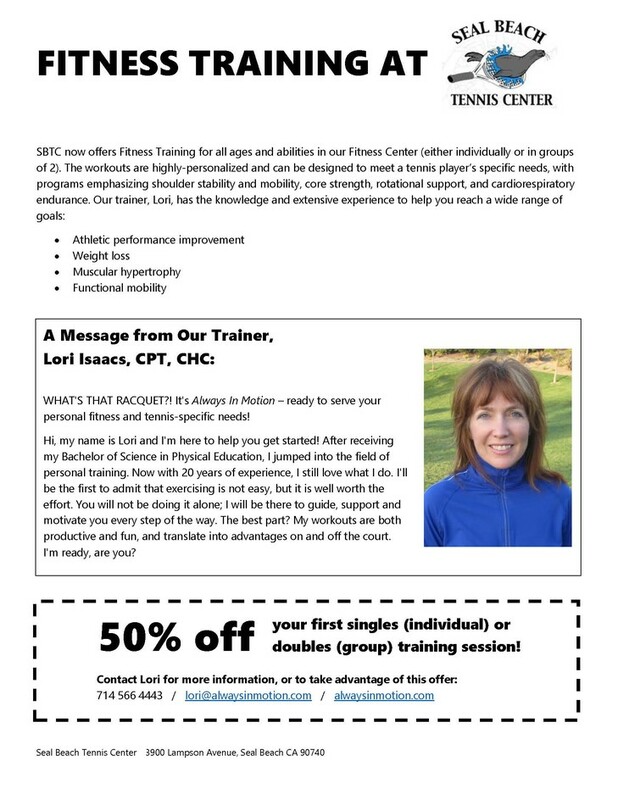 For those who are not currently a Tennis Center Member and who are strictly interested in exercise training, consider becoming a Fitness Center Member. Please click here for more information on all our Memberships. We offer a personal fitness training program in our fitness center designed to meet your personal needs. And we will be growing the number of fitness programs at the Center. Keep checking back here as we add more programs.